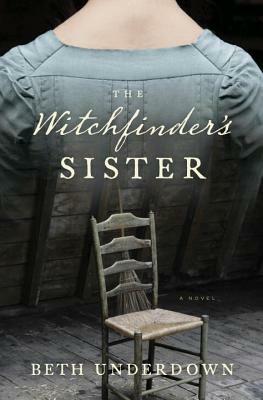 In 1645 Alice Hopkins, pregnant and newly widowed, returns in disgrace to her brother's house near London. They have been estranged since Alice, raised Protestant, married a Catholic. Now, dependent upon her brother's favor, she is appalled to realize that Matthew has begun a campaign to ferret out witches by exploiting the pettiness often found in small villages. Matthew's indiscriminate hunt gains power with every woman he convicts. Alice is determined to stop him, and in doing so puts her own life in peril, for Matthew's monstrosity means that even his sister can be silenced. This debut novel illuminates the malevolence of a flawed and self-righteous man obsessed with women who flout society's expectations. Matthew Hopkins was a real man who instigated numerous witch trials in England between 1645 and 1647. While the trials in Salem may be better known, an estimated 40,000-60,000 people, mostly women, were killed as witches in England. Fans of Geraldine Brooks and Sarah Dunant will welcome this well-researched and emotionally charged historical novel, told from the often invisible woman's perspective.